Cherry Park is an experienced freelance journalist and reporter who specializes in features, news, and news analysis, in print and online. She has written extensively in the areas of health and safety, fire safety, employment, HR, recruitment, rewards, pay and benefits, market research, environment, and metallurgy, and she also conducts research. The hazards of smoke inhalation are often underestimated, yet twice as many people die from breathing smoke from fires than die from burns, and smoke and deadly gases from a fire spread farther and more quickly than heat from flames. Smoke and gas detectors are effective fire safety technologies that form the first lines of defence against smoke and fire by providing a precious early warning. According to the National Fire Protection Association (NFPA), 75 to 80 percent of all deaths by fire happen in the home, more than half occurring in buildings without smoke detectors. By installing a smoke detector, individuals can reduce the risk of dying by almost half. In general, commercial, industrial, and mass residential smoke detection devices issue a signal to a fire alarm system, whereas household detectors normally issue a local audible or visual alarm from the detector itself. Aspirating smoke detection systems (ASDs) are extremely sensitive and can detect very small or smouldering fires far more quickly than other systems. They use a fan to draw in air from around a building via a network of sampling pipes and sampling holes. The air is then passed through a highly sensitive precision detector that analyses it and generates warning signals of potential fire when it detects smoke particles. Expensive to install and maintain, these systems can detect cool smoke that does not rise to the ceiling, as well as smouldering fires and particles given off by overloaded electrical cables. They are therefore especially useful where early warning is required and are suited, not only for sensitive installations, such as datacentres, but also for very high ceiling spaces, such as in warehouses, and for very harsh environments. Optical beam smoke detectors, like aspirating smoke detectors, measure smoke over a large open area, rather than a single location, and are very sensitive to diluted smoke at high levels, such as in rooms with high ceilings. Expensive to install, they are very effective at detecting larger particles of smoke produced by slow-burning, smoky fires, such as smouldering foam-filled upholstery, or overheated PVC wiring. The detectors work on the principle of light obscuration, by aiming a light source into a sensing chamber at an angle away from the sensor. When smoke enters the chamber, it reflects light onto the sensor, so triggering an alarm. Dual-path types are available with a transmitter and a receiver at one end and a reflector at the other. Beam detectors are often used in buildings where single-point smoke detectors would be uneconomical or difficult to install. Ionization smoke detectors monitor ions, or electrically charged particles in the air. If smoke enters the device, an electrical imbalance is created. When combustion particles enter the detector, they obstruct the flow of the current, setting off an alarm when the current gets too low. Ionization smoke detectors respond well to fast flaming fires and are best suited for areas containing highly combustible material such as cooking fat, paint, or flammable liquids. They are inexpensive and are the most popular type of smoke detector in the United States. Ionization detectors are usually quicker to react than photoelectric detectors, but they are sometimes unable to differentiate between smoke and steam, making them prone to false alarms. Video smoke detection (VSD) is based on the computer analysis of video images provided by CCTV cameras, automatically identifying the particular motion patterns of smoke and alerting the system operator to its presence in the shortest possible time. VSD systems have been installed in places such as turbine halls, historic buildings, road tunnels, rail depots, warehouses, shopping malls, and aircraft hangars. Some of them only detect smoke, although others can also detect flame, as well as providing motion detection and other surveillance/security features, according to the Fire Industry Association (FIA). There are three available types of household smoke detectors — ionization, optical (photoelectric), and combined. They are very cheap and are available everywhere. The combined detectors are effective at detecting slow-burning as well as flaming fires, both common types of fire in the home. The NFPA recommends a combination of both ionization and photoelectric technologies for maximum protection. The devices are either battery or mains electricity-powered, or both. Some are inter-connectable so that smoke detected at one point can raise the alarm at all others, while others have additional facilities, such as emergency lights and silence buttons, for use where false alarms can be a nuisance, such as during cooking. A gas detector is a device which detects the presence of various gases within an area, usually as part of a safety system. Highly sensitive, they can be used to detect combustible, flammable, and toxic gases and oxygen depletion and are widely used in industry. Catalytic and infrared sensors detect combustible gases, and electrochemical and metal oxide semiconductor technologies generally detect toxic gases. Gas detectors may be battery-operated, portable, or fixed units and work by monitoring and alerting people audibly or visibly to the presence of dangerous levels of a variety of gases. They are very efficient in confined spaces that are not continuously occupied, such as tanks, pits, vessels, and storage bins. Thanks for this insight Mike. As you touch on the various complexities of US/UK/EU/somewhere else approvals are difficult to balance. This is a really helpful addendum. Thank you for this very comprehensive guide, Cherry. It’s going to be a very useful resource. Definitely bookmarking this for future reference. Just spotted that there is Optical Smoke detector included although it could be an editing error as the principle of optical detection seems to be described in the Beam detector section…otherwise all good information that most Fire Engineers worth their salt should already be aware of. We slightly extended the name to ‘Optical beam smoke detectors’ just to cover if anyone was looking for ‘beam’ detectors. Thanks for your comment wozzer. 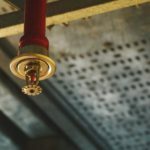 Highly informative article – it’s really important to have advanced smoke detectors to prevent danger.